Perpetua is taken from a document in the Sanderson archive. 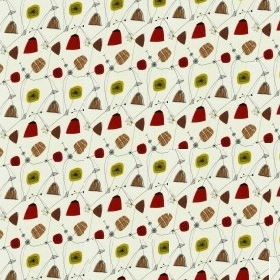 This is one of a collection of four modernist designs printed on rayon for Sanderson in 1953. The simple, stylised shapes represent flower heads and stems.